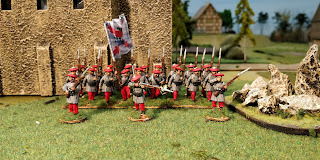 that means I have no 19th century armies and so I thought I would start a new period. I have long been interested in the 1st Carlist War since the Perry brothers made their range and published the uniform guide. Had I lived at the time I would probably be aligned politically with the so-called Liberal side (the Isabelinos) but culturally I sympathise with the Carlists. 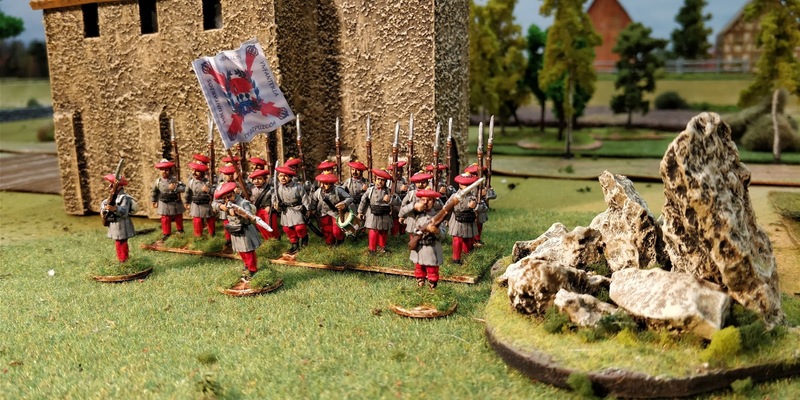 Here is the first painted unit – the first Basque Guipuzcoan battalion of four planned. 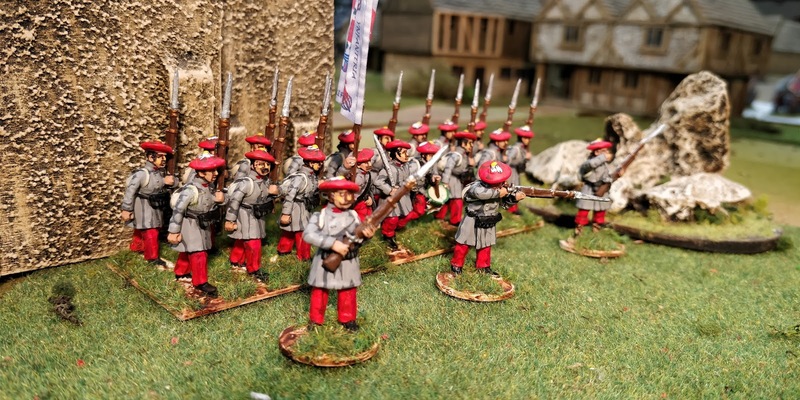 The Carlists of the Northern army were recruited from the countryside (the cities and towns largely remained pro-Government) and must have been incredibly fit as their marching prowess was noted by many commentators. On one occasion a unit was known to have marched 60 miles in one day which is quite incredible as most of the countryside of Northern Spain is mountainous. 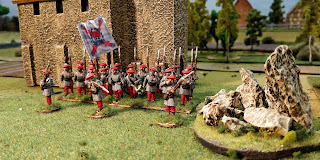 The Carlist main headwear was the beret or boina or txapela which could be in a wide choice of colours but were probably one colour in a battalion. The first I show here has red but the second I will paint shortly will have blue. They wear the winter colour trousers which were red, white being used in the summer. The colour should be garance (a particularly dark red much in fashion in the 19th century around Europe) but I am not sure mine is quite dark enough. Figures are from the Perry brothers and the flag is from Adolfo Ramos. Nice job, love the colors and uniforms of this period! Superb painting! 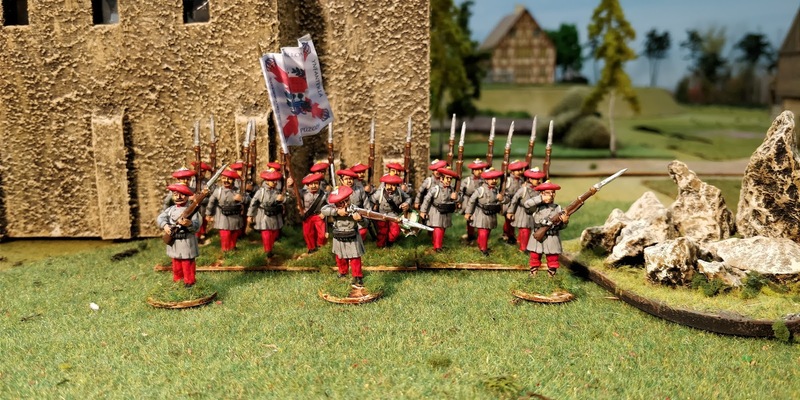 I've just started a Carlist War project, in 15mm though. These are lovely.